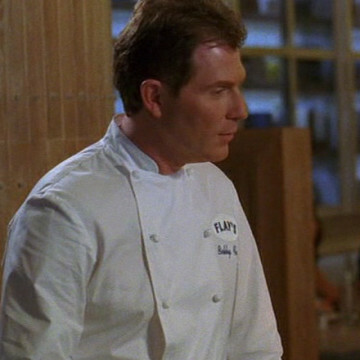 Celebrity chef Bobby Flay guest stars in two season eight episodes of Entourage. He portrays himself during his scenes and is introduced about fifteen minutes into S08E04, at which point Ari confronts the chef and his relationship with Mrs. Ari. Bobby Flay reprises his role two episodes later during S08E06, titled The Big Bang. The chef hosts a handful of shows for the Food Network, including Throwdown! with Bobby Flay and Beat Bobby Flay.